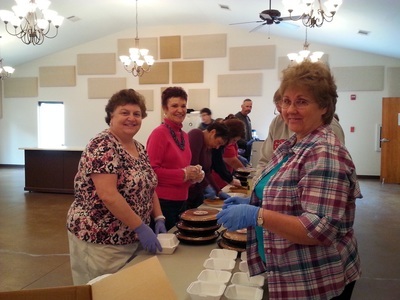 ​Saint John contributes to several community ministries in Griffin and invites you to join us in serving with them. Thanksgiving Meal Ministry: Each year Saint John hosts a meal ministry on Thanksgiving morning. 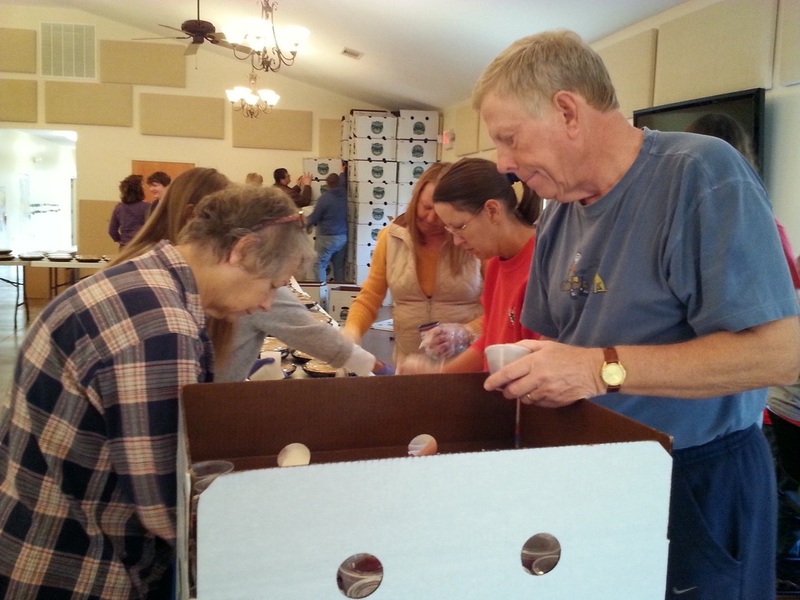 Joining with many other congregations and volunteers from the community, we prepare and deliver over 1600 dinners to residents in Spalding, Pike and Lamar counties. Five Loaves and Two Fish Food Pantry 409 W Solomon St. Hours: Monday and Wednesday, 2-4 pm; Tuesday and Thursday, 10-noon, 5-6 pm; Saturday, 10 am to noon. 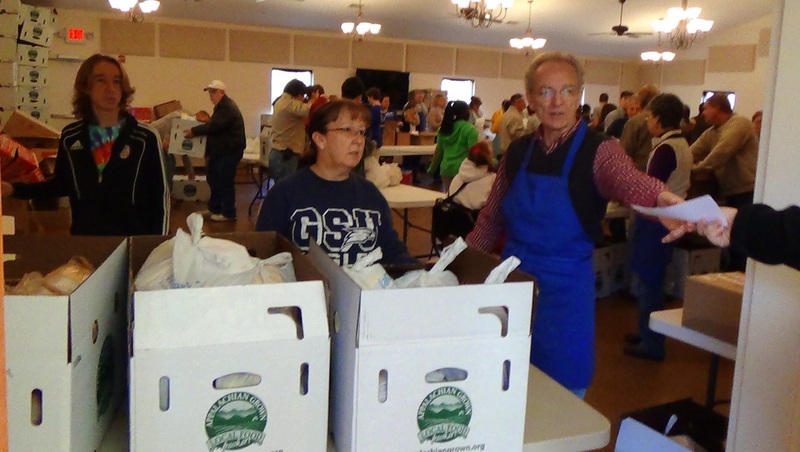 Abundant Life Soup Kitchen provides lunches on weekdays at Rising Star Missionary Baptist Church, 132 W Cherry Street. Spalding Samaritans: meets in the Hope Health Clinic and food pantry building, 409 W Solomon St. Requests for utility assistance are received on the 1st and 3rd Tuesdays at 1 pm. Applicants are required to have photo identification, current bill, contact number. Backpack Food for Kids: We contribute to Spalding Collaborative to provide nutritious, child-friendly meals for children at risk of food insufficiency over the weekends. Atlanta Hunger Walk: Each year we participate in this 5K walk/run to raise money for Lutheran Services of Georgia and to fight hunger in Atlanta and the Griffin community. Waypoint Veterans Center: Located at 232 East Broad St., this ministry brings all veteran-related services to individuals and their families. We provide food and hygiene supplies for the center.